Ahh mountains. There’s not much better than taking in a deep breath full of fresh, crisp, alpine air. When combined with the faint smell of eucalyptus wafting up from the valleys below, you’ll be guaranteed to feel on top of the world as you climb out of your tent and admire the sun rising over the pristine wilderness that lies before you. Regardless of whether you’re seeking peaceful solitude or a physically demanding experience, the joy of simply being in the mountains should be more than enough to get you packing and heading out of town for the weekend. So to help you on your way, we’ve come up with a list of the top 5 mountains in Victoria that you need to climb. 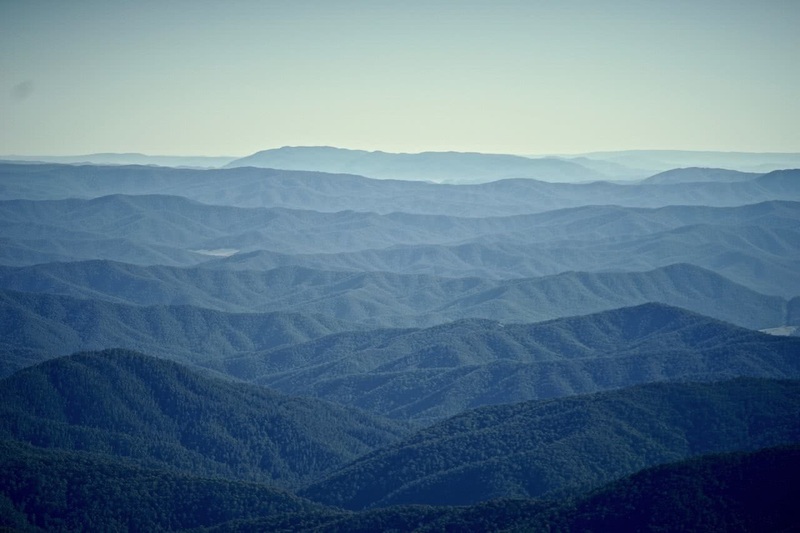 When you think of an Australian mountain, you will typically picture rounded peaks and high plains that stand testament to the large weathering endured by this ancient land. 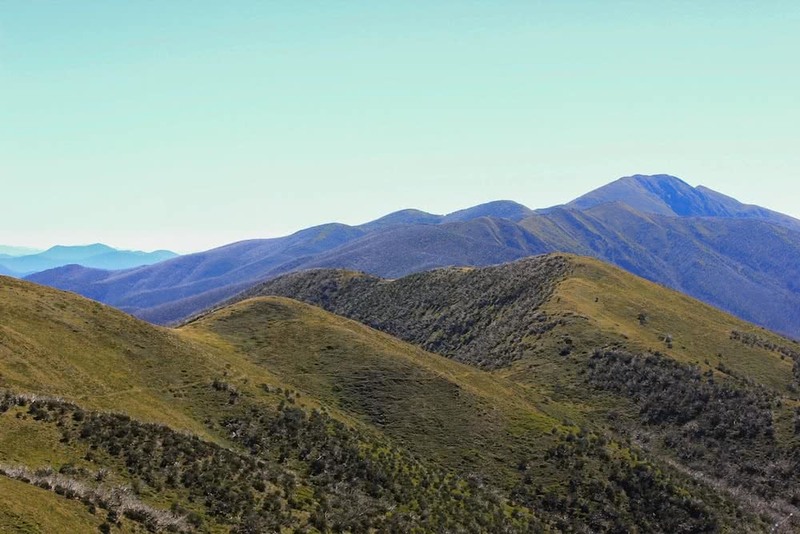 Mt Feathertop however, is one of the few exceptions to the rule, with its razor sharp ridgeline and steep gullies cascading to the valleys below it stands as an impressive grandeur within the landscape, truly one of the most spectacular mountains Victoria has to offer. 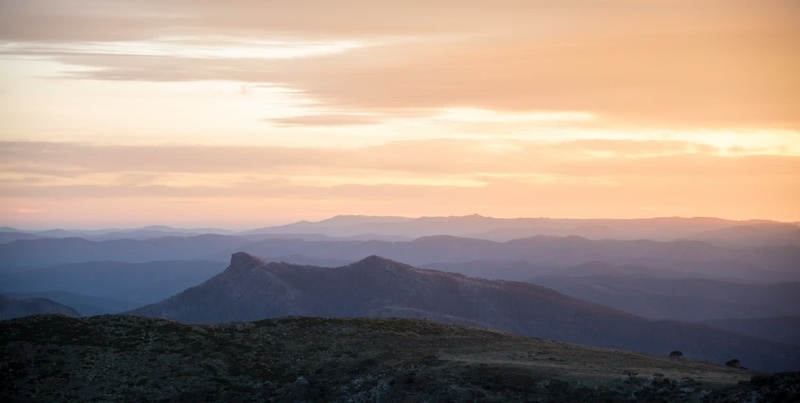 At 1922m tall it weighs in as the state’s 2nd tallest mountain, and for those who enjoy a good hill climb you can ascend this giant via the 11km track that weaves up Bungalow Spur from Harrietville, the base of the mountain. However, if you’d prefer a more accessible option you can drive up the Great Alpine Road to Diamantina Hut (just before Mt Hotham) where the 11km Razorback Ridge Track will take you across the photogenic ridgeline and up to the summit. Two kilometres below the summit is Federation Hut which hosts several campsites and is a beautiful place to park yourself for the night before the trip back to the car. Hidden deep within the Alpine National Park, Mt Howitt is an impressive peak that provides spectacular views and a great sense of solitude. You can camp near the summit, hidden amongst the twisted snow gums or near the McAllister Springs Hut where you’ll be able to find water and extra shelter if the weather comes in. Whilst admiring an exceptional sunrise from the highest summit in the area you can gaze across the dramatic ridgeline of the Crosscut Saw and enjoy a cuppa in this beautiful, remote region. There are many routes to the summit of Mt Howitt, with the main trails stemming from the Upper Howqua Campsite or the slightly easier option being the track from the Mt Howitt Carpark on the Tamboritha Road. 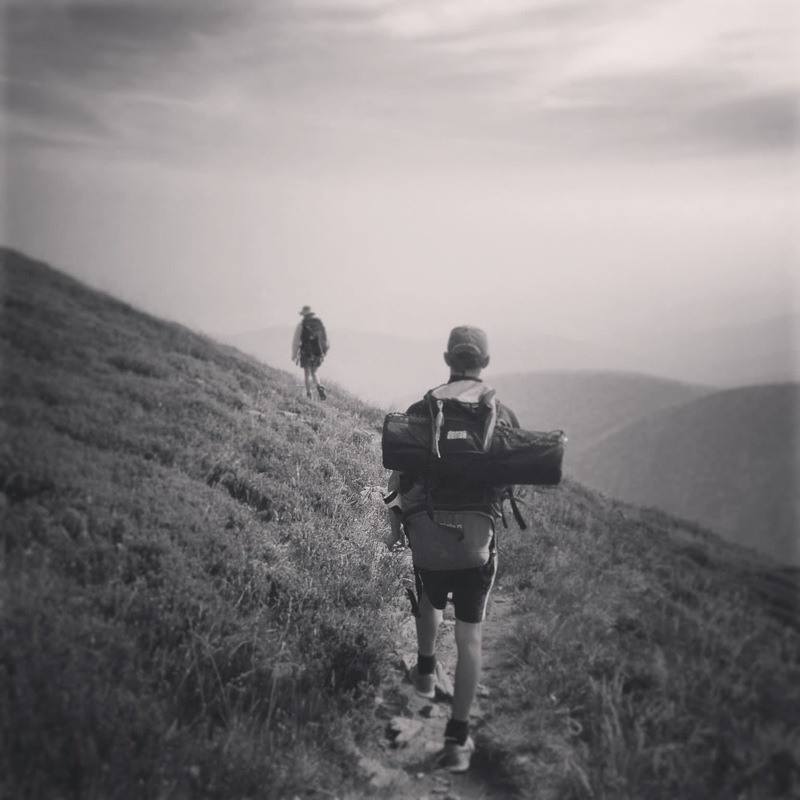 Coming in as the tallest mountain in Victoria at 1986m Mt Bogong is a must for all hikers out there. From the Mountain Creek car park you can take either the Staircase or Eskdale Spur, both are approximately 8 steep kilometres to the summit but the reward is well worth the effort. From on top of the big summit cairn, you’ll have an unparalleled 360-degree vista of the High Country to take in. There are endless places to camp on the open plains around the summit, or you can walk 3 easy kilometres further to Cleve Cole Hut, hands down one of the best huts in the High Country. Make sure you also take the short walk from the hut to the impressive, 40m tall Howmans Falls waterfall. Like any proper hike, once you make it back down to your car, the cool waters of Mountain Creek will sooth your muscles before the 10 minute drive to the acclaimed Mt Beauty Bakery. As one of the closest mountains to Melbourne, Mt Baw Baw is definitely not one to be missed. Tucked away at the beginning of the Great Dividing Range, Mt Baw Baw been one of the few places to have escaped the many recent bushfires that have burnt the majority of the Alpine region since 2000. This makes it the last place that you can find large patches of unburnt snow gums and countryside, making for a special and unique trip to the Victorian mountains. From the village, you can make the short walk to take in the impressive views from atop Mt St Gwinear before venturing out along the Australian Alps Walking Track to camp amongst the giant granite boulders of Mushroom Rocks. Hidden behind the limelight of Mt Buller can be found the rugged natural ramparts of The Bluff. Whilst you can drive close to the summit in a 4WD the most rewarding way to visit the mountain is via the 14km track that climbs from the Sheepyard Flat Campsite. This track starts low in the valley alongside the Howqua River and climbs, at times steeply, up through the eucalyptus forests, and then up above the treeline to the summit where a spectacular alpine panorama is unleashed. You can follow the trail on across the grassy plains to Bluff Hut for the night, or find yourself an empty peak to perch your tent on while you eat dinner watching the sun set over the distant Lake Eildon. Ha you missed the one mountain that dwarfs these in terms of views and accomplishment – Cobberas one and if you are good see if you can do two as well.